With the magazine release I am doing a final print of my book "The End" and completely taking it out of publication both physically and digitally. 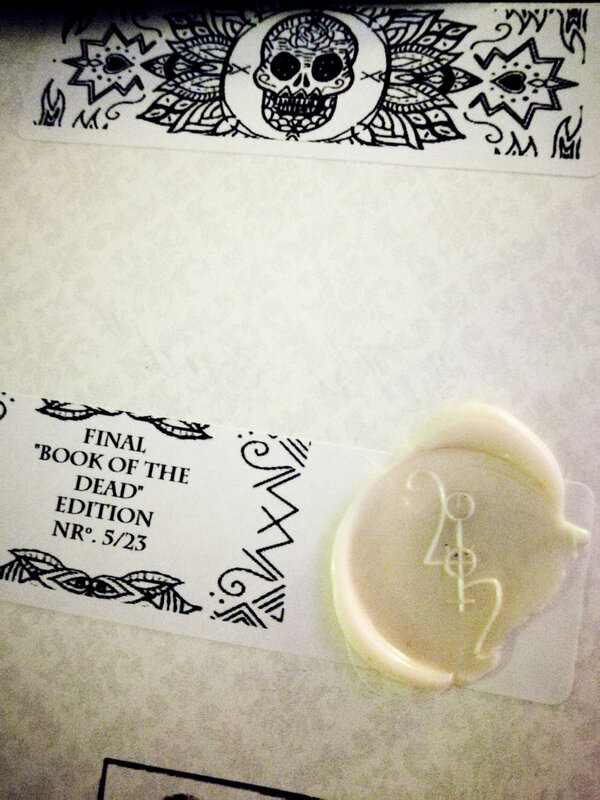 These last 48 copies are each unique, sealed, numbered, customized with our own artwork using a label printer to create decorative elements. The Designs for the Stickers are done by Mater Terra, all Original work! Preparing the different box sets for the magazine release, each limited edition set will be uniquely individualized and containing a unique tarot reading for each pack adressed for the one receiving it. Certifying and uniquely sealing each of the books for the limited edition release boxes of our Magazine! 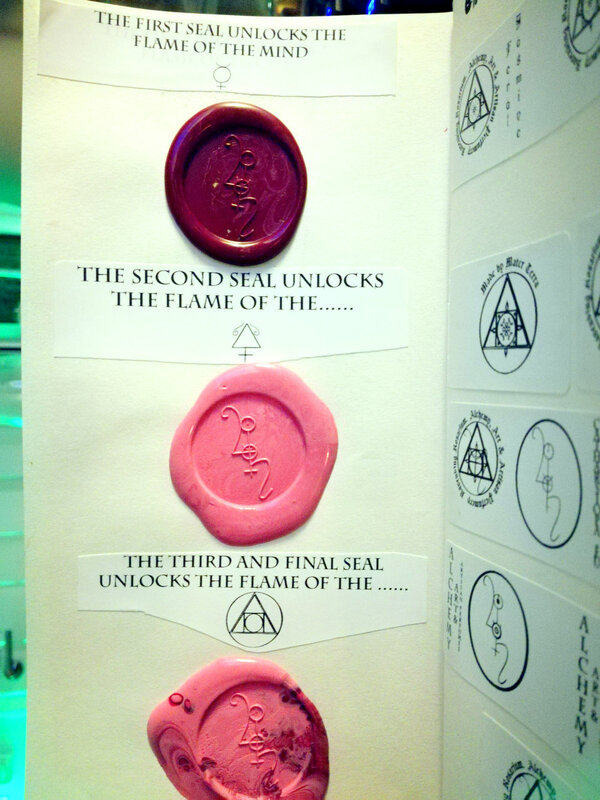 Each of these seals is scented, added some rose wax to most of them, some already were scented with cinnamon. Lots of love pouring into preparing this project, having tons of fun! For more infos about the magazine and the project! We received our Proof & Test Print of the Magazine today and I must say it looks amazing! Beyond all of my expectations, everything looks real sleek and chic! Quality premium paper, the colors in the photos are vibrant although not entirely TRUE in profile/temperature to the Originals, but that isn't a bad thing, gives it a certain atmosphere/energy. Sharp, clear, vibrant, adventurous. The Text is also easy to read, formatting looks more or less as I envisioned it. Some Minor Adjustments and it is Ready! I wish to make a call out to any of you that are watching, that the print is quite expensive especially since I am printing it on my own, and if any one of you feel like you would like to somehow contribute to the project by making a small donation to help finance a proper number of prints for the initial run you would be helping tremendously to kick-start this project. More infos about the Magazine and The Art Project " Seals of Secrecy" under which it is being released! Donations above 50 Euro get a Free Magazine+Free shipping in exchange for the Donation. Amounts 5+ you can request a gift, and I'll make it up to you with either a digital product of mine or fromat 25+ a 1ml free perfume sample of my own creation shipped to you FREE. 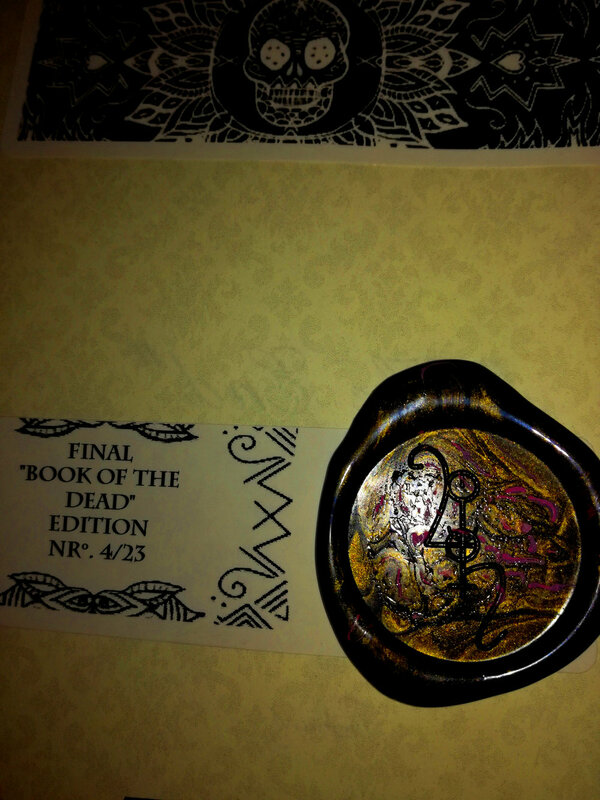 Our Custom "Catharsiopa" Wax Seal Stamp arrived today. enabling me to begin leaving you all a message that will be revealed step ... by ..step.... over the course of the next weeks! In the midst of Brewing Projects. Seals of Flame. Tomes of Journeying, Scents of Transformation.